Join Us for the Wooly Block Adventure! — Sewing Seeds Quilt Co.
You are here: Home / Blog / Join Us for the Wooly Block Adventure! Join Us for the Wooly Block Adventure! The makers of the Row by Row Experience have created the Wooly Block Adventure! Visit participating wool shops between October 15 and December 15, 2016 and ask for your complimentary 8″wool block pattern, all based on the theme Winter Wonderland. Our block is called SNOW CRAZY and YES we do have kits available as well! If unable to visit us in person prior to December 15, we would be happy to ship an order to you after February 16, 2017. Please call us at 507-354-8801 for details or to place an order. 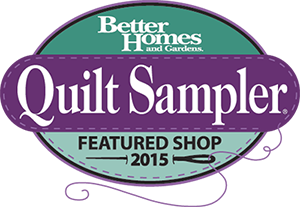 Quilts, books, fabrics & more!